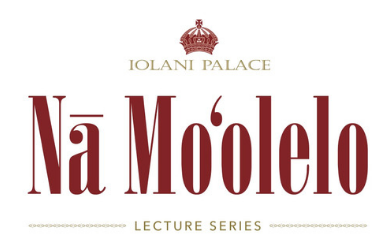 Iolani Palace invites you to join us at our new Na Moolelo Lecture Series. The lectures feature presentations by Hawaiian cultural experts, historians, and museum professionals that will prompt discussion of Hawaii history and culture as well as museum practices. View all upcoming lectures here. The free Na Moolelo Lecture series continues Iolani Palace mission to preserve and share Hawaii’s unique cultural and historical qualities with the community. Between 1907 and World War II, a number of eugenics initiatives were introduced in Hawaiʻi. Learn more about how these measures helped assimilate Native Hawaiians and other non-whites to American norms while stabilizing control of the new oligarchy in the first decades of US occupation. Ilima Long is a doctoral student in the Political Science program at the University of Hawaiʻi at Mānoa. She works at Native Hawaiian Student Services, where she builds programming to support the NHSS mission and prepare students to contribute to a life-affirming and de-occupied future in Hawaiʻi. All discussions will take place at 5:30 p.m. in the Kanaina Building on the Palace Grounds. Admission is free.